To help clients achieve their financial goals with the least amount of risk. 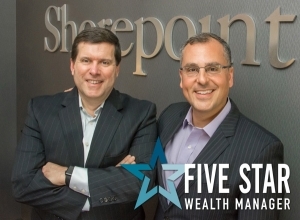 At Shorepoint, we understand that your financial situation and long-term objectives are as unique as you are. That’s why every client relationship begins with a conversation—a detailed and ongoing conversation where we listen carefully to understand what is important to you and your family. No matter where you are in life, your Shorepoint advisor will guide you through a goals-based wealth planning process designed to identify your short- and long-term financial needs, and your wishes for your future. A wealth advisor who brings years of experience to guide you through whatever life brings, always with your financial well-being and best interests in mind. A customized wealth management plan and a tax-sensitive investment strategy designed to achieve your objectives with the least amount of risk. A trusted partner who’ll simplify your financial life, consolidate your investment reporting and co-ordinate with your outside tax, estate, accounting and legal advisors to ensure a comprehensive approach that supports your long-term goals. Direct access to the most senior members of the firm and the benefit of the best thinking of our entire team of professionals. Transparent 24/7 access to your account and portfolio information through our secure web portal. We know that selecting a financial advisor is an important decision, and we want to give you all the information you need to select the right advisor for you, your family and your business. We welcome your questions and look forward to getting to know more about how we can help you meet your financial goals and objectives.